Click For Cash found at clickforcash.com may sound like an easy way to make money online, but don’t be fooled – Click For Cash is a scam. Find out the truth they have been hiding from you in this Click For Cash review. Click For Cash is an over-hyped scam. Click For Cash is structured exactly like many other over-hyped online opportunities, where they promise the “secret” way to make money online. 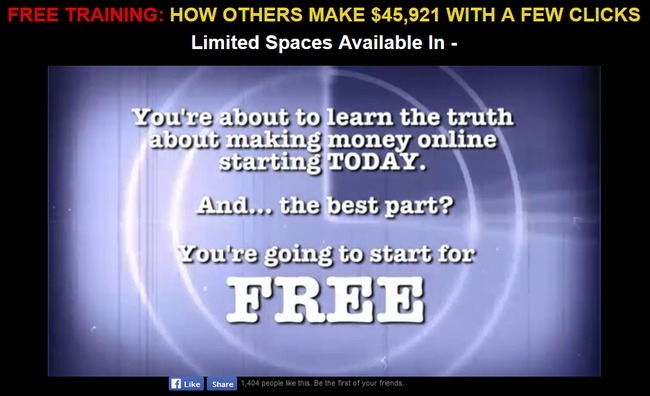 Let’s get this clear first – there is no secret ways to make money online, and what Click For Cash tries to sell you can be learned for free online. It’s not surprising that Click For Cash scam uses questionable marketing tactics by showing luxury cars, private jets and huge mansion to lure unsuspecting internet users into paying them for an unknown product. Notice how Carl never gets to the point throughout the entire sales video? His sales pitch revolves around how you can live a high live with his “secret” method, but he never tells you exactly what it is. Fake promises used to entice users into watching the sales video. 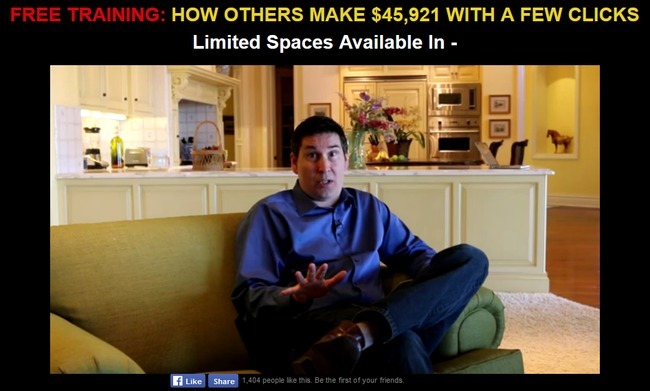 Click For Cash scam employs various scam tactics like an attention-grabbing headline (who wouldn’t get enticed with making $45,921 with a few clicks? ), and flat out lies to make its victims watch the sales video. It’s in the video where the scammers try to brainwash you into paying for the scam. By the time you are dazzled by the presentation and illusion of becoming an overnight millionaire, you wouldn’t hesitate to pay them the fees. Click For Cash scam will cost you $49. When you are ready to sign up for the “free system”, you’ll be required to pay $49 to get started. And the worst part is, you don’t have any idea what you are paying for. You are being sold a dream, and a jar of empty promises. All Carl told you is that his “secret system” will generate you huge money easily, and you’ll soon be able to live your dream life. Of course, none of it is true, and the system doesn’t deliver. Now let’s look closely at Click For Cash scam really offers. Affiliate marketing been around for a long time, and it’s actually a well-known way of making money online. However, it’s not as easy as Click For Cash scam wants you to believe. It takes a lot more than a few clicks to generate money online. With affiliate marketing, you promote other people’s products and get a commission if you make successfully a sale. The good thing is, you don’t need to create your own product to get started. You can simply promote your favorite product and get paid if someone buys it through your link. Of course, there are a lot of ways to make affiliate marketing work. Some are good and sustainable, while others are more risky. Click For Cash only focuses on a single method of affiliate marketing, which is called pay per click (PPC) marketing. Even though Carl told you there is no need for you to build a website, write boring content and generate traffic, he was just lying to you. There is no way to make affiliate marketing work without traffic. In fact, Click For Cash is all about generating paid traffic. Paid traffic vs. Organic traffic. You see, affiliate marketing revolves around finding targeted internet users and directing them to offers they want to buy. For example, if I type “buy laptop” in Google search bar, the results shown in the screenshot above will show up. The first 2 results are paid traffic, designated by the yellow “Ad” icon before the website URL. It stands for “Advertisement”. 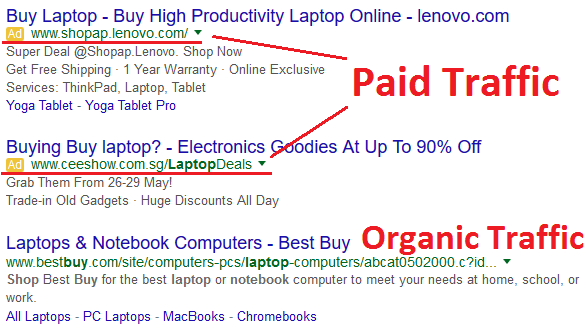 The 3rd result is an organic traffic, where it appears automatically in Google ranking when you type “buy laptop”. So which traffic is better? Organic traffic is definitely more sustainable, because it’s free and shows up in search results automatically. With Click For Cash system, it teaches you how to set up paid traffic campaigns and includes 50 ready-to-use templates. It may sound like a steal, but keep in mind that the $49 is not the only expenses you’ll need to pay for this system. It takes a minimum of $50 to test if a campaign works, and this can really add up if you run several campaigns concurrently. On top of it, you may need to test tens of campaigns before finding one that generate you some profits. In other words, you need a deep pocket to make it work. Carl and Click For Cash scam conveniently left out this part, because they understand no one would pay for the system knowing the truth. Also, keep in mind that everyone who purchased Click For Cash system are given the same templates and the same campaigns. This will drive up competition quickly, and soon you may be paying $1 or more for each visitor who clicks into your link, which makes it unprofitable for everyone. Although it delivers a product, we categorize Click For Cash as a scam because of the fake promises and hype they generate to trick you into buying it. We strongly discourage you from buying Click For Cash because it doesn’t offer anything helpful for the price you pay for it, and certainly doesn’t live up to its promises. Steal My System Review – What a Scam!